Lotte Village sings: waffles and whipped cream. Freshly from the oven - our brand new CD with most loved songs is out now. Available only in Lotte Village and Lottemaa e-shop. Lotte Village is full of beautiful music in summertime and winter is the best time to remember it all and sing along once again. Lotte Village's young actors are the authors and performers of the songs on the album. Best gift is a happy memory from Lottemaa! Different design on both sides. Can be used as a flashlight if pressed in the middle. Colorful parts can be rotated and pushed in different directions. 4M Craft "Crystal Geode Growing Kit"
The chemicals and some equipment are supplied but hot water, an apron, protective goggles and rubber gloves are required also - see specification tab. 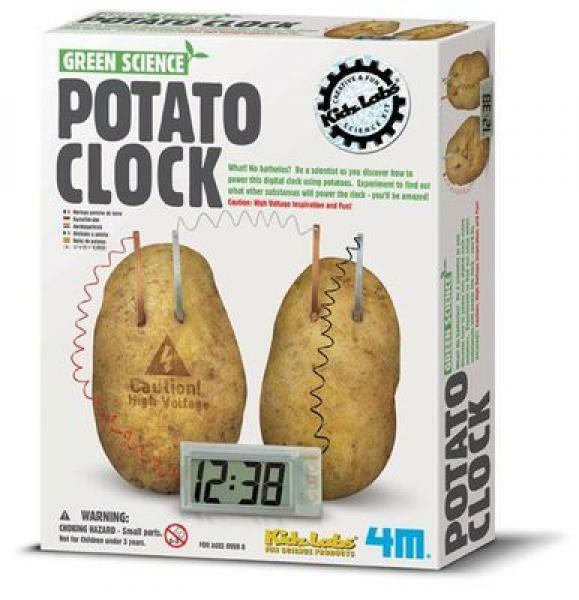 Be a scientist as you discover how to power this digital clock using potatoes and NO batteries. Experiment to find out what other substances will power the clock. Contains digital clock with wires, pots, connecting wire, transparent tapes, copper and zinc strips and detailed instructions. A helicopter or a small plane cane be built with this building set step by step! INGREDIENTS: sugar, glucose syrup, thickener: gum arabic; acidity regulator: citric acid; rice starch, flavorings; anti-caking agent: magnesium salts of fatty acids; food colors: carmine, korkum, titanium dioxide; glaze agent: carnauba wax. The main message of the ABC is that learning and reading is fun, even when it demands some effort. The stories are joyful, help to understand the relation between individuals and the big picture, show how to view everyday situations with a different perspective and how to find solutions to everyday problems in life. The material gives the opportunity to read together and discuss the stories, which teaches the techniques of reading along with analysing skills. The book also has separate parts for children with little reading experience or difficulties with reading. 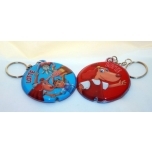 Many possibilities to use: bag pendant, reflector, keychain and so on. Two designs to choose: Lotte and Bruno. The helicopter allows with just a few parts easy entry into the world of construction! The biplane allows easy entry, and helps to improve motor activity! 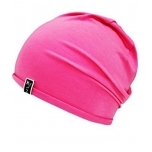 Thin beanie-style hat. Head size 53/55 cm. Material: 92% cotton, 8% elastane. Available colors - red and blue (write to comments which color would you prefer). On the Lotte helmet you will find pictures of Lotte, Bruno and Albert. 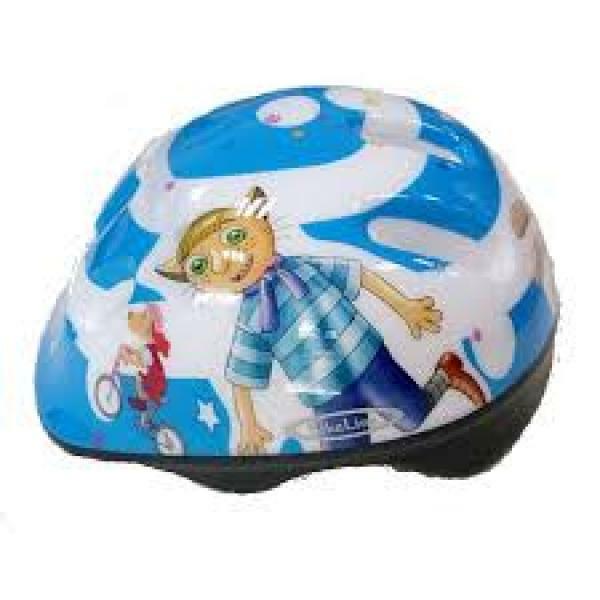 Helmet has all the required safety certificates in the European Union. Sizes available: S (50-52 cm), M (52-54 cm) and L (54-56 cm). Write to notes required size. NB: at the moment only blue helmet available! 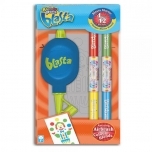 Simply blend your chosen colours in a single BlendyPen, insert it intο the Blasta pump, and squeeze! Create an awe-inspiring colour blended spray – perfect for use with stencils or for creating free-style artwork at a single stroke! One night, two strangers sneak into Gadgetville. They are searching for three stones brought along by Klaus the rover on his last journey. One stone was left with Klaus, the other two with his travelling companions. Realising that the stones hide a secret, Lotte and Klaus go to collect the remaining stones. When Klaus falls ill unexpectedly, Lotte continues the journey alone. It soon transpires that the secret of the stones is greater than Lotte and Klaus had imagined. 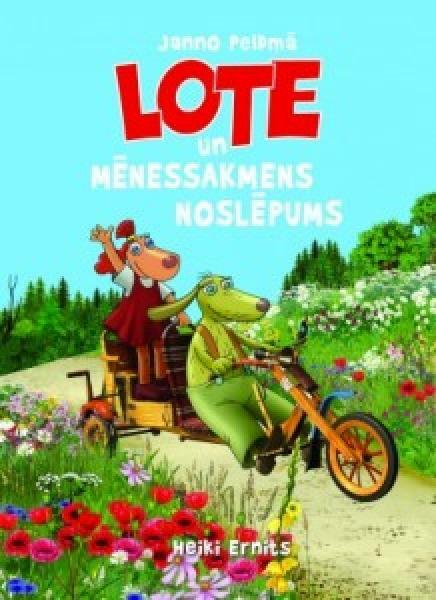 The book is based on the cartoon Lotte and the Moonstone Secret by Janno Põldma and Heiki Ernits. Ühel ööl hiilivad Leiutajatekülla kaks tundmatut. Nad otsivad taga kolme kivi, mille vana rännukoer Klaus oma viimaselt rännakult kaasa tõi. Üks kivi jäi Klausile, kaks tema reisikaaslastele. Mõistes, et kivid peidavad endas saladust, lähevad Lotte ja Klaus ülejäänud kividele järele. Kui Klaus ootamatult haigestub, jätkab Lotte teekonda üksi. 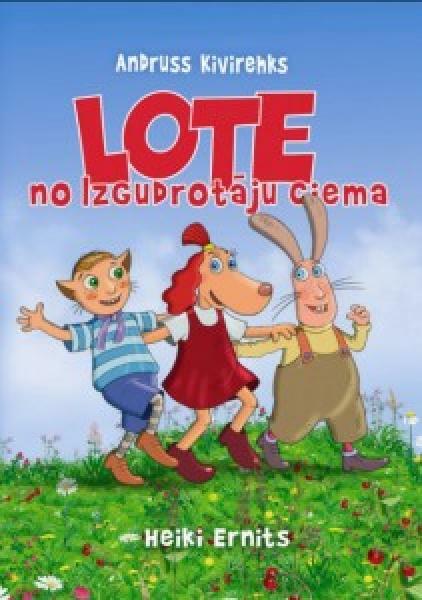 Peagi selgub, et kivide saladus on palju suurem kui Lotte ja Klaus arvata oskasid. 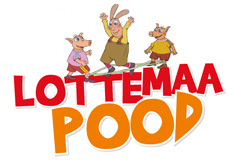 Raamat on valminud Janno Põldma ja Heiki Ernitsa joonisfilmi Lotte ja kuukivi saladus ainetel. The little puppy girl Lotte and her best friend, a kitten named Bruno, live in Gadgetville, where the inhabitants spend most of their time inventing new contraptions. One day, the children find a soaked book in the sea. Out of the book crawls the bee Susumu who, as it turns out, comes from Japan. Lotte decides to help Susumu to get back home. Lotte’s father has constructed a clever airship, where all you have to do is rise up into the clouds and wait for the Earth to rotate beneath you until you are in the right spot. While waiting for suitable winds, they practice judo, make friends with the rejected hare Albert, invent a radio, electricity, and a fountain that emits Morse code. The book ends with a judo contest in Japan, during which “Team Lotte” beats the local masters of “Team Tamogochi”. Author: Andrus Kivirähk, illustrated by Heiki Ernits. Somewhere in Europe, next to a great sea, there is the village of Gadgetville, where inventing all kinds of useful gadgets for the home is highly valued. Every year, the villagers hold a competition of new inventions. 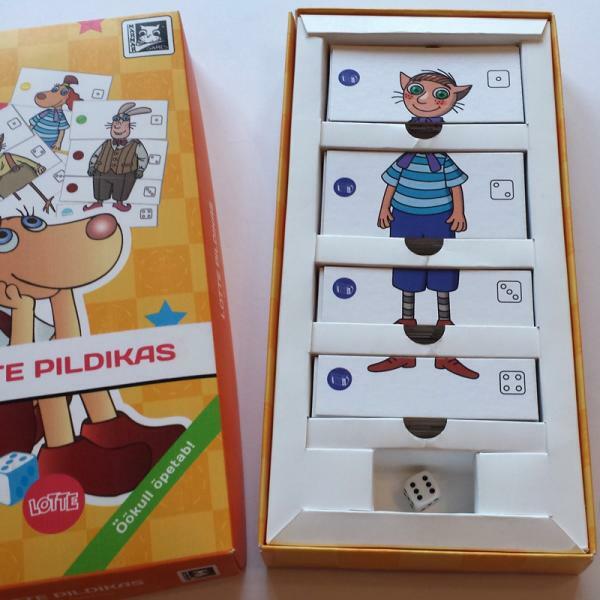 One of the most famous inventors in the village is Oskar, father of the lively puppy girl Lotte. His main rival is Adalbert the hare, whose wife also participates in the competition wholeheartedly. Winning would be important for the family and would be a great honour for the entire hare clan. On the eve of another inventions competition, Lotte and her friend, Bruno the kitten find a sodden book in the sea. Susumu the Bee, a gardener from the far-away Japan, climbs out of the book. Susumu teaches the villagers some judo moves before the competition and they eagerly begin using them to make their everyday lives easier. The villagers think that when it comes to household chores, judo may be even more helpful than complicated and stubborn machines. 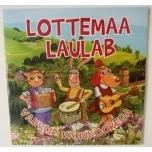 The book is based on the cartoon Lotte from Gadgetville by Janno Põldma and Heiki Ernits. Author: Andrus Kivirähk.